Below you can view all the townhomes for sale in the Brier Creek subdivision located in Raleigh North Carolina. Listings in Brier Creek are updated daily from data we receive from the Raleigh multiple listing service. To learn more about any of these townhomes or to receive custom notifications when a new property is listed for sale in Brier Creek, give us a call at 919-928-5027. Storage & 1 car garage. Home Warranty Included. MLS#2250440. 1709. First floor bedroom avail and bonus room MLS#2249965. 3447. Home will be vacant and not last long! MLS#2248449. 4852. Public pool, fire pit, & Fitness center. MLS#2249045. 4498. Relax on the Screened Porch and enjoy the beautiful landscaping and water view. MLS#2248060. 990. Open layout fully upgraded w/hardwood, tile, granite, stainless appliances, archways, coffered ceiling. High-quality, energy-efficient, practically new! MLS#2247406. 297. You'll love the fresh paint, the low-maintenance benefits of townhome living and the great neighborhood with pool, clubhouse & pocket parks. MLS#2246805. 1127. Community features 2 large outdoor pools and a 24-hr fitness center. Won't last long! MLS#2246274. 868. Minutes to I-540, RDU, RTP, Restaurants and Shops! MLS#2245900. 513. 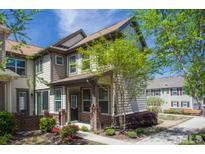 Brier Creek Condo that shows like a townhome! MLS#2245848. 636. Laundry & Powder Room also on 1st floor+2 spacious bedrooms, full bath, bonus & walk-in storage Room on 2nd floor. A MUST SEE! MLS#2244011. 297. The master suite features a sitting area with columns, lavish bath with dual vanities, garden tub, separate shower . great location MLS#2243038. 4892. To top it off, this townhome is nestled in the desirable Brier Creek subdivision with onsite clubhouse, exercise room, pool and fun neighborhood events. MLS#2241909. 1127. Easy access to RTP, RDU, 40, 540 & hwy 70. MLS#2241111. 511. Convenient to RDU, RTP, fantastic restaurants & shopping. Truly move-in-ready. WELCOME HOME! ! MLS#2239744. 5202. Close to shopping, RDU, RTP, and more... MLS#2238402. 5026. Enjoy BCCC amenities, swim pool, fitness center, tennis & golf! MLS#2238225. 5026. Chef's Kitchen 42inch Maple Cabinets, Granite Counters, backsplash, breakfast bar, Stainless Appliances,Smooth-top Range,pantry! Ceiling Fans! Extra Garage storage! MLS#2237753. 2931. Master & 2 Bedroom upstairs, huge bonus room (4th Bedroom) w/bathroom on bottom level. 2 car garage. MLS#2235954. 2731. Varying levels of Brier Creek memberships avail. Walk to shopping/dining/movie theater & more! MLS#2233961. 1320. Come see it before it's gone! MLS#2233450. 5234. Community features 2 large pools and a 24-hour fitness center. Come see today! MLS#2232212. 1359. 2 pools,fitness,roof,lawn& exterior maint! MLS#2232265. 297. Other features include:Wood blinds, hardwood flooring throughout, electric blinds & wood shutters, renovated baths, spacious deck & 2 car garage MLS#2227225. 1127. Whole house speaker system. Community pool & grill area MLS#2225831. 2034.